This is an interesting offer from WestJet and SPG. 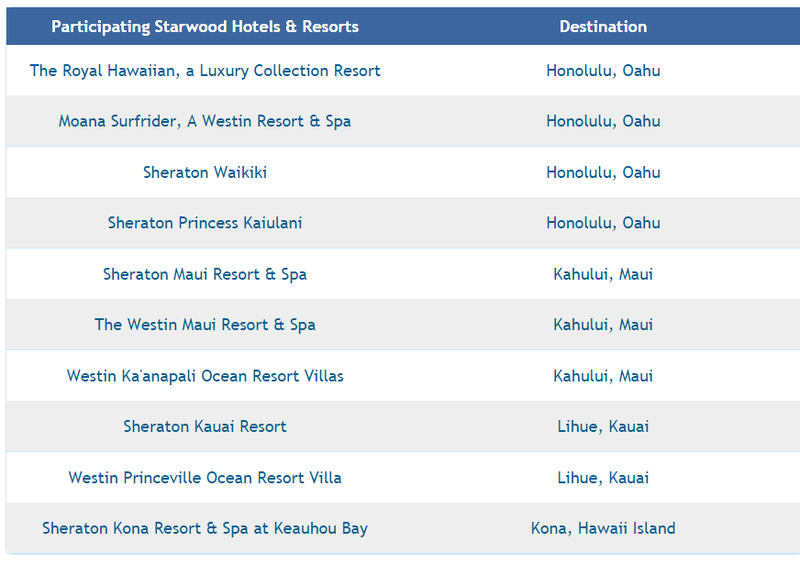 You can receive $250 bonus WestJet dollars per couple when you register and book a minimum five-night WestJet Vacations package at select Starwood Hotels & Resorts Hawaii. BTW: WestJet family-friendly offer allows every Rewards member on the booking to receive a bonus $125 WestJet dollars - for a total of up to $1,000 WestJet dollars. Note: Bonus WestJet dollars have no cash value, are non-refundable, non-transferable,are valid for one year from date of issue. You need to book and register by: December 10, 2015, and travel between November 16-December 15, 2015 and January 7-April 30, 2016.